After the rounders competition being cancelled twice, due to bad weather, the St Mary's Rounders Team finally got to compete on Tuesday evening at William Hulme High School. The children were very excited about playing and showed no mercy in their game against All Saints. Kayden, Connall, Louis and David scored half of our rounders when batting and between David bowling, Kayden playing backstop and Niamh on first base, we managed to get the whole of their team out on their first bat. The first game finished 12 1/2 rounders to St Mary's, 3 1/2 rounders to All Saints. As the children set up for the second game, the rain unfortunately got heavier and the competition had to be abandoned. Well done to all children who played, showing great determination and resilience. Hopefully the competition will be rescheduled later in the summer. The rounders team went down to William Hulme High School to compete in the rounders competition over 2 consecutive weeks. In week 1, they won all 3 games, putting them in a strong position for qualifying for the City Wide Finals. Unfortunately, the 2nd week did not prove to be as successful and they finished 5th overall in the league. All children showed great resilience and cooperation. Well done to everyone who played! on the link below and answer the questions then click submit. 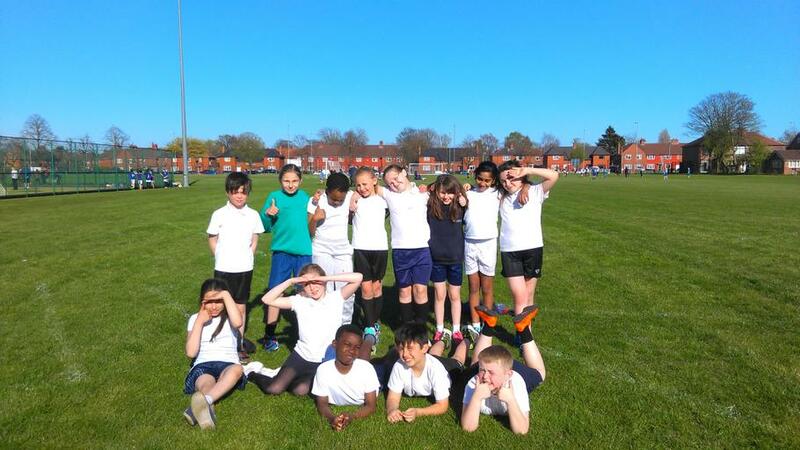 St Mary's competed in the rounders competition at William Hulme High School, over 2 weeks. We won 1 and lost 2 in the first week, which qualified us for the 5th and 6th position playoff. We lost by half a rounder 6 - 6 1/2 rounders, which gave us an overall finishing position of 6th place. Well done to all of the children who competed!